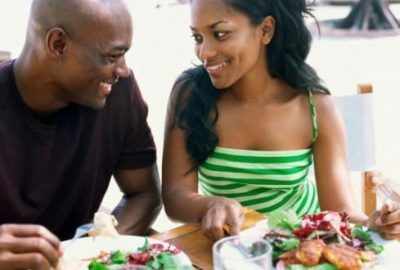 Once you step into the bounds of marriage, it is important that you and your spouse have an efficient way of managing and monitoring your spending. You will have to think as one now and come to the realization that your expenses will change. If your spouse overspends, you might want to sit them down and encourage them to make a habit of being more conscious as it relates to making purchases. 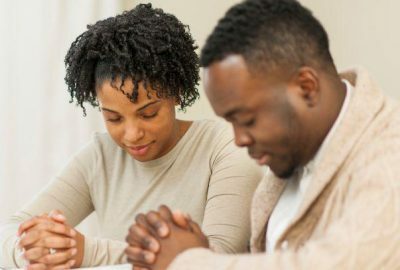 Overspending can lead to debt, stress, and constant turmoil in your marriage if it is not dealt with. If you are the careless spender, then you need to put a reasonable amount of money to the side every pay period and budget that money. Be sure to purchase needs before wants. This will make managing your finances much easier. Couples that often argue about their finances are not talking openly about their finances. They are not being honest about their spending habits. In order to have a successful marriage financially, you and your spouse must talk often about managing your money. Future financial goals should be discussed as well as future plans. You guys must agree on how you will spend and who will be responsible for which expenses. Sharing your thoughts and opinions about spending will break those barriers between you and your spouse. Having a conversation about money can be risky and can be a sensitive subject. However, the more often you do it, the more routine it becomes. What’s Coming In and Going Out? It’s all about the budget! You and your spouse should have an idea of how much you guys collectively bring to the table monthly and how much you spend as well. If you do not then you have a big problem. As a married couple you guys should commit a day, maybe a Saturday, to really look at your income collectively and monthly expenses. Yes, things will come up and you will have to pay for things out of the blue, but you should still have a general idea. Form a budget that ideally, will allow you to pay all your bills, save a little, and have a little wiggle room for fun. Write down all the expenses that occur throughout the month and build your budget around that. Having an effective budget will allow you and spouse to pay for the things that may come up unexpectedly like a flat tire or your oven breaking without breaking a sweat. Financial baggage is the fancy way of saying debt! Whether its student loans or credit card debt, this will take a toll on any marriage if it is not managed correctly. You and your spouse will need to develop a strategy for eliminating overwhelming debt early on. You will need to fit this expense into your budget and work to pay it off. Also remember that you marry a person’s debt when you marry them. You guys should work as a team to free yourselves from “financial baggage”. Once you and your spouse master the art of saving, budgeting, and spending; you should treat yourselves. If you have money left over that you can spend without eliminating your saving then you guys should spend it together. Take a quick vacation or go to a concert together. Spend the extra money together and also enjoy it together. Purchase something that you both can enjoy like a new blender or a bigger television for the living room. Making purchases together that you both enjoy will make this process all the more enjoyable. I hope those tips on how to stop arguing about money help you and your spouse or significant other enjoy life together without constantly arguing about money! Dr. Laura Louis is a Licensed Psychologist in the Atlanta, Georgia area. If you’re near and would like to get some of her services, please contact her or make an appointment online! You can also check her YouTube Channel for more great stuff.